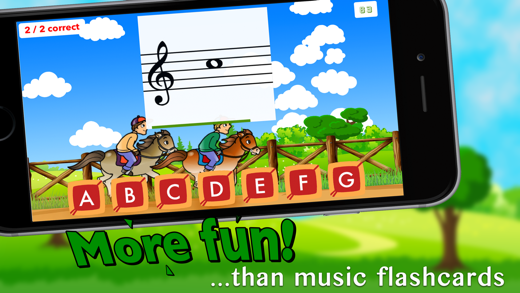 Flashnote Derby is a fun way for kids to learn and practice reading music notes. Each race is a timed test in which the student identifies different notes in order to urge their horse on towards the finish line. Answering quickly and correctly will cause their horse to gain ground, while incorrect answers will cause it to fall behind. At the end of each race, students can review the notes they missed and see the correct answers. 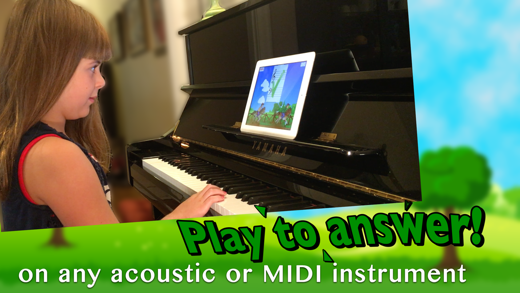 Players can respond to flashcards by simply playing the note on their acoustic or MIDI instrument. 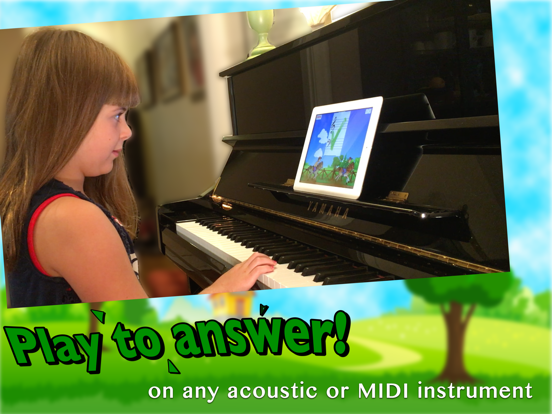 They can also choose to answer by tapping letter buttons or playing a key on an on-screen piano. 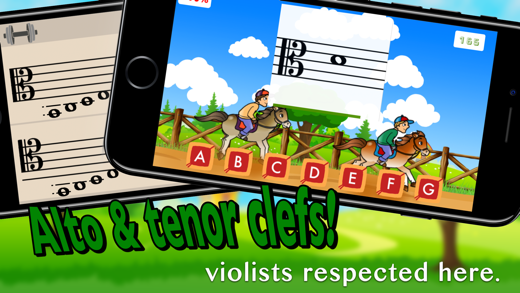 The game is fully customizable to allow for any desired notes in the treble, bass, alto, or tenor clefs to be included. 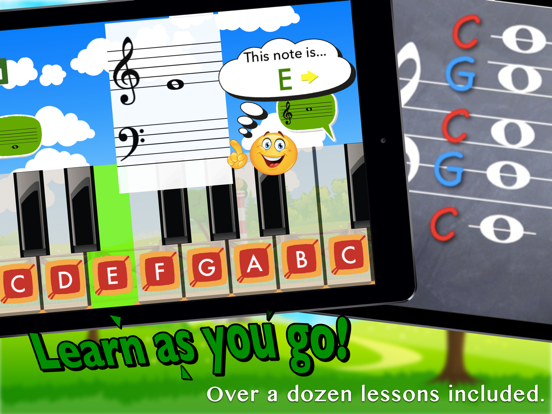 You can select ranges of notes, or several individual notes to focus on specific areas that need work. 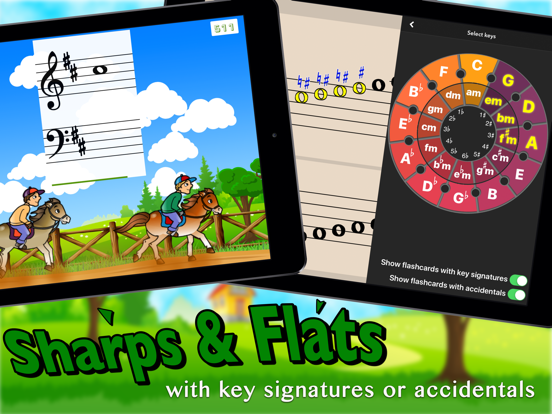 Notes can be shown with sharps and flats and key signatures can even be added to increase the challenge for more advanced students. The amount of time the player is given for each flashcard can be increased or decreased depending upon their age and level of experience. Drills can start out simply, with only a handful of notes, and gradually be made more challenging until the full staff is mastered (up to five and a half ledger lines above or below the staff.) The more difficult the settings, the more points are awarded. The 'high score' is tracked so that players always have a goal to shoot for. 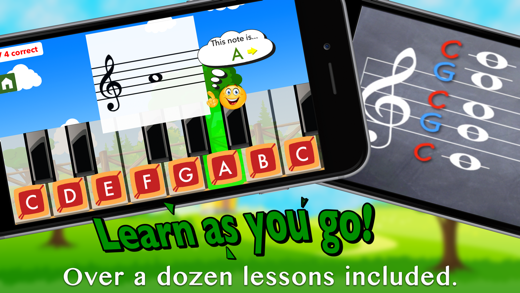 As a bonus, over a dozen instructional video lessons are easily accessible from right inside the app! 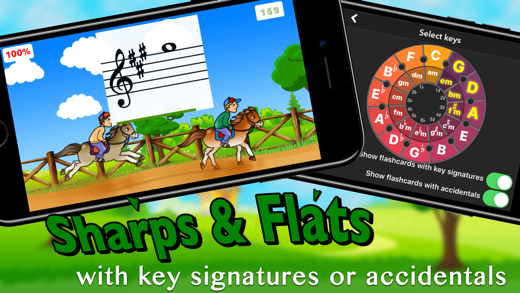 Even children with no prior music instruction can start using Flashnote Derby right away to begin learning about the music alphabet, the staff, and how to identify different notes. 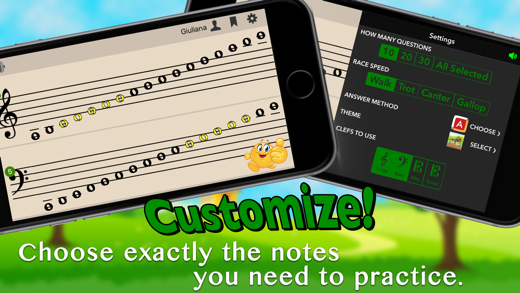 Because it can be set up so quickly, Flashnote Derby provides a perfect motivational tool for music teachers to use with students, even for just a minute or two of each lesson. Teachers have the ability to email homework assignments to their students for them to play on their own devices at home. 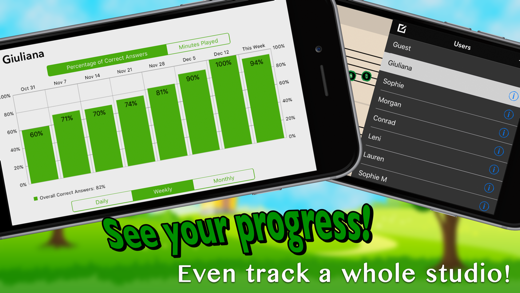 Each player's performance is recorded so that their progress can be tracked. You can easily see which notes are most in need of review. When students give up on their music lessons, it's usually because they find it too difficult. Learning basic skills early is key to laying the groundwork for future success. 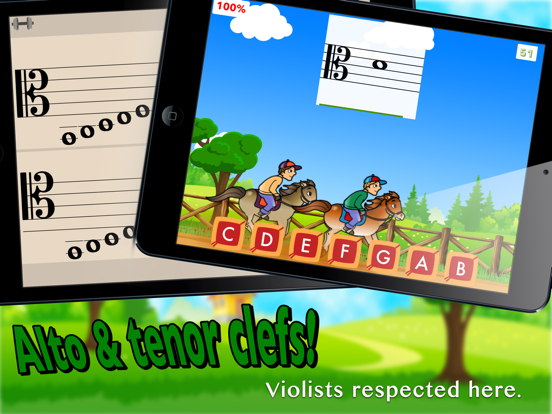 Flashnote Derby makes this process more enjoyable and helps students stay motivated in their music learning. Sometimes it takes only a little extra effort to make the difference between success and failure. 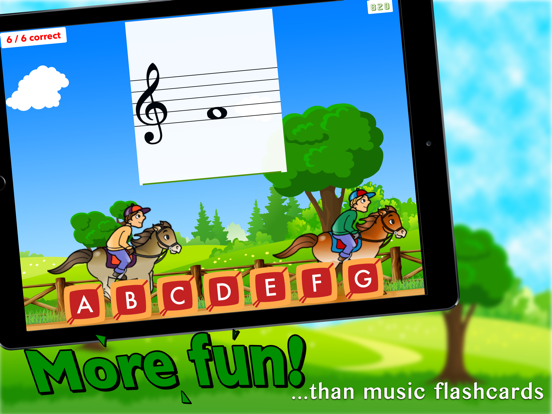 Download Flashnote Derby and get on the road to music reading mastery today! 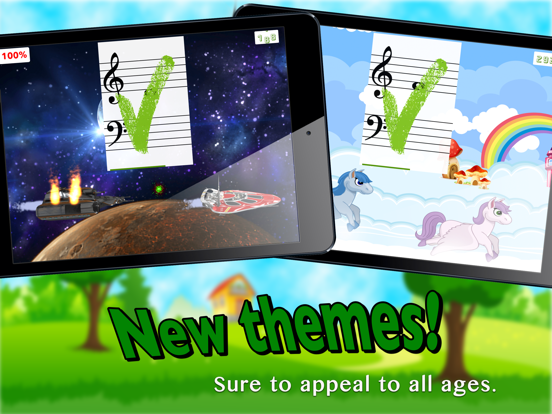 Two brand new themes are included for free in version 3.2 of Flashnote Derby. Ecliptic Encounter turns the horse race into a space battle and should be especially appealing to slightly older students. Pretty Pegasus swaps out the horses for Pegasus...es(?). 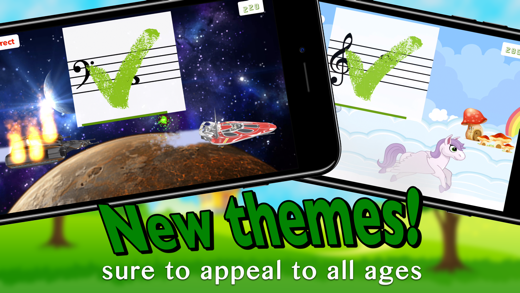 It takes place high above the clouds and has gentler sound effects and soothing graphics. 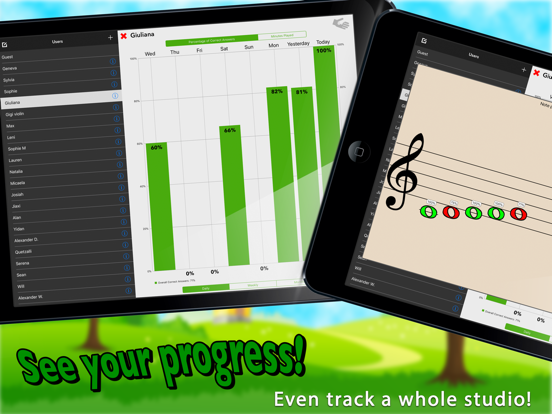 For music teachers managing studios or classrooms or multiple devices, device cloning has been added which allows you to copy a set of users and preset drills to multiple devices quickly and easily. I just discovered the informational videos and that I can tack student progress with this app! I can’t wait to try out all these features with my students. Timely updates and great support. 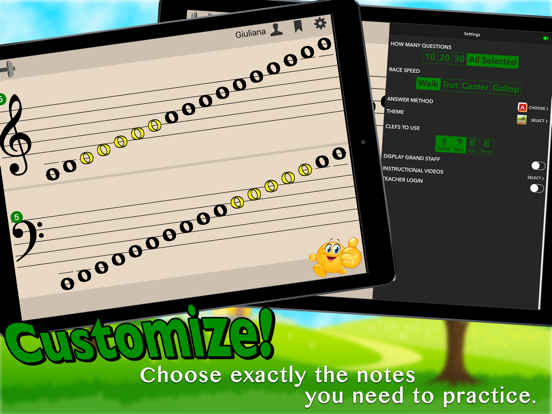 The only note reading game with style and polish! All my students love it! Compatibility: Requires iOS 9.1 or later. Compatible with iPhone, iPad, and iPod touch.